Fieldwork is a major component of many industries. Over the past decade, field specialists have made a step towards the technologies in respect of the work with data. However, laptops couldn’t provide necessary agility for collecting and processing data at the jobsite. Laptops are bulky and their most significant part is a keyboard. Field employees usually don’t need to type a lot, frequently they add the data into the pre-made forms. Moreover, you can’t use laptop for communication without an Internet connection or Wi-Fi. It forces you to constantly visit the office for data transfer. Due to these challenges, more and more modern specialists give up laptops in favor of mobile devices. Fortunately, nowadays mobile technology provides extremely powerful features. Convenient mobile forms can easily replace all documents and feature-rich apps allow users to process any data on the go, create professional reports, instantly share them and contact the office at any time. Here are some advantages of using mobile apps for work with data in the field. Pocket-sized smartphones is a revolutionized substitution of bulky laptops. This is a so required mobility for modern field workers. Moreover, smartphones have very useful functions like audio, video, camera, GPS and more for complete work with different types of data. They remove the need to carry lots of expensive, specialist equipment. Mobile apps reduce the time needed to transfer data from the field to the office for data analysis. This speed of sharing data helps to make decisions quicker. 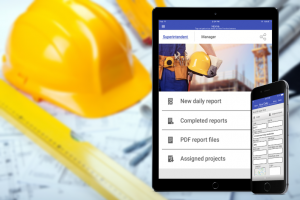 Powerful mobile apps for fieldwork from Snappii, a leading business app development company, allow users not just to collect the data but instantly process it and create complete and absolutely professional reports. Snappii users can even use their existing forms and convert them into mobile forms in the app. As we know, time is money, so don’t lose your time driving. Beyond data sharing, mobile apps is the easiest way of quick communication to solve incidentally arising issues. Some apps allow users to use photos for such situations. For example, Construction Photos app from Snappii is a great tool to communicate with pictures. Snap a photo, draw on it, mark problem areas, add comments and share it with other specialists. Also, mobile apps can include a convenient chat for employees which significantly accelerates operations. Using paper brings the risk of errors, confusion and losses. Paper forms are unreliable in storage and require a lot of space. Mobile forms are a real sensation for modern businesses and especially for fieldwork. Digital format allows to speed up the filling in of the data, reduce errors and provides 24/7 access to all data right at the smartphone. Snappii offers a unique powerful platform to convert any forms in minutes. It’s extremely fast and easy due to the ready-made fields and lack of need of any programming skills. Anyone can try it with a free trial. Eliminate cumbersome processes and optimize your fieldwork instantly with mobile apps and mobile forms from Snappii. We’ve helped thousands of companies in many industries. Bring your company into the digital age with us. Mobile apps have a place in nearly every industry. In previous blogs, we’ve talked about the benefits of having an app for workers in the field, especially those who work with data. 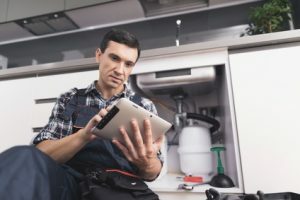 Another important feature that an app can provide is instant communication across many employees, which can be extremely useful in emergencies. While preventing disasters can be difficult, mobile solutions can help to mitigate some of the impact of such an event. Field employees often are limited in their communication to the head office. In case of an incident, workers need to manage their time efficiently in order to inform the Emergency Situation Department in a proper form and time. Mobile apps allow employees to instantly make necessary notifications, along with geo-locations, in a few taps. The app can have emergency checklists that employees are able to quickly fill out in pre-made mobile forms on their own smartphones. The reports will be logged and archived so that their always available, can be instantly updated and shared. This type of technology can be used in a multitude of other ways like pushing announcements out or planning a company event. 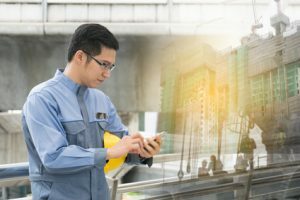 With today’s robust app-building platforms, managers can easily take care of field employees while creating an app that will meet their specific requirements. Snappii, a leader in the business mobile app solution, offers anyone to create a powerful app for any operation. Zero-code app builders enables people without any programming skills to build apps in as little as a few clicks by utilizing one of the 400+ pre-made apps. Our support team is also on-board to help you with any question, or conduct training to use the platform if necessary. 1 million people already use apps built on Snappii’s App Builder. Join us today!